After marking 2 million viewers within just six days of release, “The Terror Live” will be released in seven cities in North America starting on Aug. 9, the movie’s investment distribution company Lotte Entertainment announced Thursday. The North American premiere will take place at CGV theater in Los Angeles on Friday, followed by New York, Atlanta, Seattle, Las Vegas, Vancouver and Toronto. More screens may be added depending on the film’s performance. Meanwhile, nearly 3 million people have seen the movie as of Thursday morning. 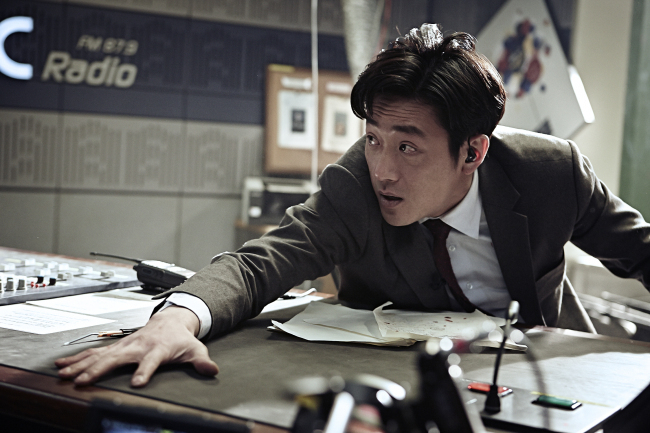 “The Terror Live,” directed by Kim Byung-woo, is about radio show host Yoon Young-hwa (Ha Jung-woo), a former TV anchor who has fallen from glory after an unsavory incident, who is pulled into a terror plot when a man threatens to blow up a Seoul bridge live on air. Previously, “Masquerade (Gwanghae: The Man Who Became King)” and “The Berlin File” were released in North America on a similar scale.